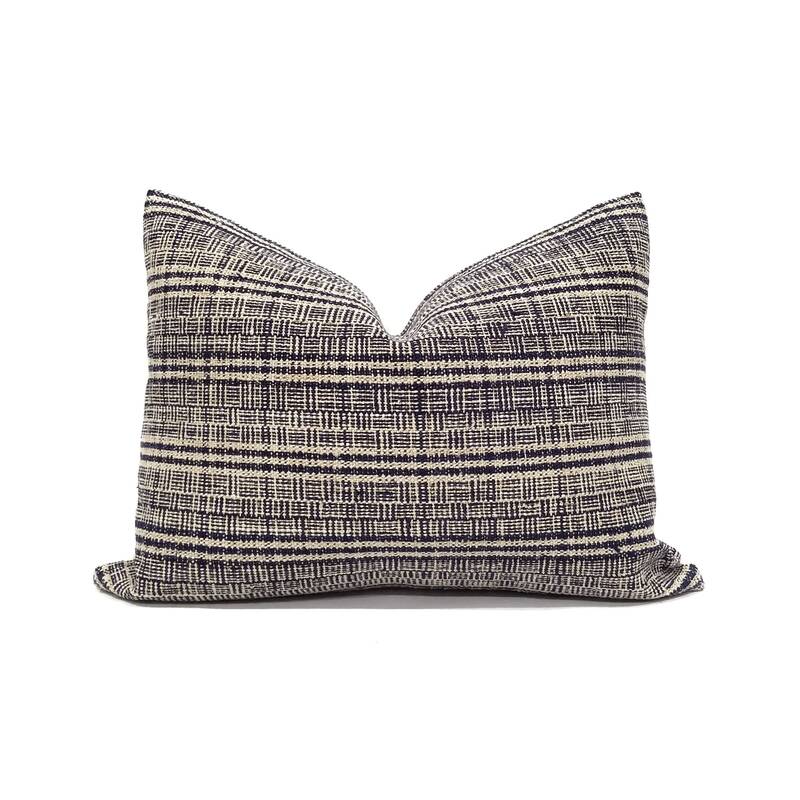 Pillow cover made of thick hemp linen indigo stripe/plaid pattern hmong textile . 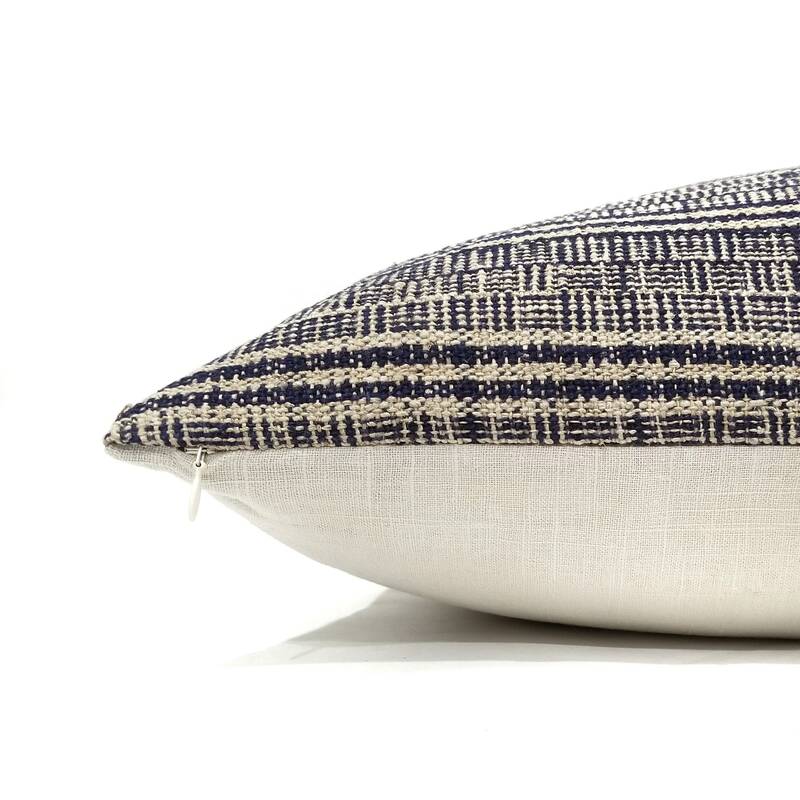 Pictured in this listing is a 15"x20" pillow. Love it. So happy I bought the smaller size too! Beautiful! Just as described. Well sewn.